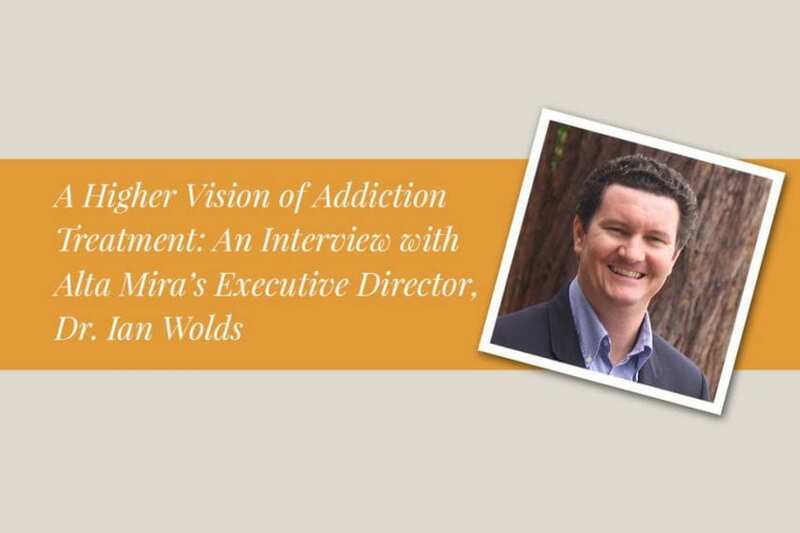 In this interview, Alta Mira’s Executive Director speaks about his vision for Alta Mira, his plans for deepening the program’s spiritual components, and the overarching passion that drives him to help people find freedom from addiction. 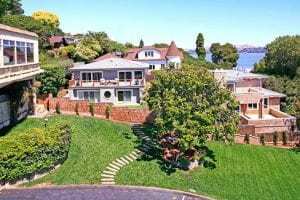 There are a number of things that draw clients to Alta Mira, from world-class care to individualized programming all the way to its setting on the picturesque San Francisco bay. It’s an admirable aspiration, one that Dr. Wolds has been pursuing since before graduate school, where he wrote his dissertation on spiritual growth in 12-step peer support groups. He’s spent the last decade working with clients who live with co-occurring mental health and substance abuse disorders, and it’s work that inspires and drives him. 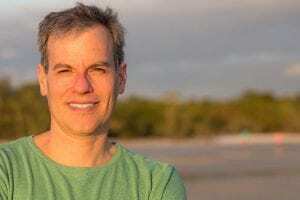 Because the programming at Alta Mira is already operating from such a strong therapeutic baseline, Dr. Wolds is currently focused on amplifying existing offerings and integrating even more evidence-based practices into treatment. The goal, he says, is to help clients “learn more functional ways of dealing with emotions in their lives and navigating difficult interpersonal relationships”—that way, they can build a strong skills base from which they can pull during moments of hardship, rather than return to faulty coping strategies. What we want to do is create an environment that’s even more patient-centered, so that we’re focusing on developing co-created treatment plans between the individual and their therapist. So it’s not just feeling like people are assigned tasks or told what to do in treatment, but it truly is a self-directed process complemented by consultation and guidance from a really robust clinical team. The integration piece of treatment is really significant: rather than just having a bunch of different providers doing a bunch of specialized things, we create the culture and environment within our treatment team to hold all of that together and create a comprehensive understanding of what our clients’ needs are and how we can utilize the spectrum of services we offer to individually tailor our approach with each client uniquely. is different for everybody. Some clients come in with negative reactions to the idea, and some are ripe for exploration on those levels. By connecting with the deepest parts of ourselves—of our personal truth—that also connects us to the ultimate meaning of things—our higher power. How to fold that into a recovery framework is definitely a goal of mine. Helping people tap into that “higher power” (in whatever way makes the most sense to them) is something that has inspired him throughout his career. He calls it our “deepest sense of personal truth,” and sees it as a process of creation rather than discovery. I think people often fall under a false assumption that life is about discovering who you are. I believe that life is about creating who you want to be, and I think that coming into residential treatment is a huge opportunity for people to do that. He recognizes individuals as people first and clients second, and that is especially important in a field so saturated with stigma and shame. “Upfront, treatment is a process of normalizing and validating, and helping people see that they are not their conditions.” It’s a philosophy that fits right in with Alta Mira’s dedication to treating the root of addiction—whether that’s trauma or other co-occurring mental health challenges—for each client individually. The old model of having addiction-only treatment and mental-health-only treatment is, I think, fundamentally flawed, because we’re treating human beings. We’re not treating a specific condition. We’re treating their whole self. Alta Mira offers comprehensive treatment options for people struggling with addiction and substance abuse as well as co-occurring mental health disorders. Connect with us today to learn more about how our dedicated team of addiction experts can help you find your path to lasting recovery.